Sing Fado is, with no doubt, the most immersive and complete Fado experience in Portugal. 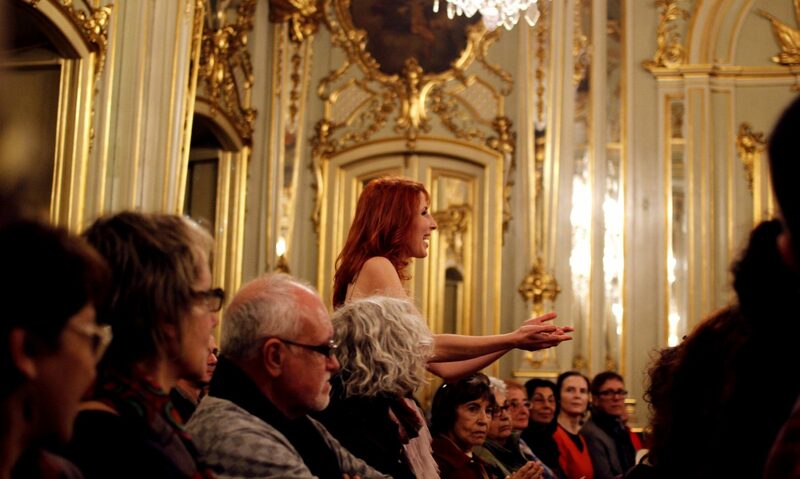 Praised by the Portuguese Tourism Institute and supported by Lisbon’s Museum of Fado. Designed to be an interactive cultural product that showcases Lisbon’s most beloved urban song, now considered by UNESCO Intangible Cultural Heritage of Humanity, Sing Fado will make you fall in love with the songs, the history and with the artists. You will not only listen to a wonderful Fado show by the voice of Liana, but also learn what Fado is and where it comes from, see and touch the musical instruments and sing a traditional Fado. If you want, as a souvenir, you can also take pictures with the artists and the Guitarra Portuguesa and Xaile (with the guitars and shawl), traditional symbols of this popular music. A fun, touching and culturally rich challenge that you will not want to miss. Do you want to learn more about Sing Fado? Contact us.